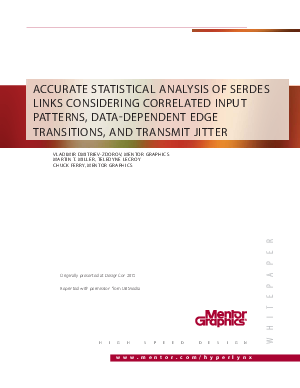 Over the years, two major approaches to SERDES simulation have emerged and gained popularity: time-domain (or bit-by-bit) and statistical. Both are used to build the eye diagram and bit-error ratio (BER), and each has its benefits and limitations. This white paper proposes a way to accurately consider all these effects in a single statistical analysis flow.